Ron Davis, former Oakland cop and East Palo Alto police chief. On Thursday night, Oakland Mayor Libby Schaaf will host a discussion on police-community relations with Ron Davis, the executive director of President Obama's Task Force on 21st Century Policing. Joining Schaaf and Davis will be Oakland Police Chief Sean Whent and civil rights attorney John Burris. "We're in the middle of a national conversation of dire importance about policing and justice and how both are administered in our country," said Schaaf in a press release about the event. The national conversation referred to by Schaaf was sparked by recent police killings of unarmed Blacks, including Michael Brown in Ferguson, Missouri, and the decision by a Staten Island grand jury not to charge New York police officers with the killing of Eric Garner. Tomorrow night's discussion runs from 6:30 to 8:30 pm at the Oakland Asian Cultural Center, 388 Ninth St., #290. Controversial and criminal police killings have continued since the deaths of Brown and Garner. Walter Scott, an unarmed Black man was shot in the back by a South Carolina police officer in April of this year. His killing was captured on video. Freddie Gray, a Black Baltimore resident, was killed while in police custody, also in April. Cities from Ferguson to Baltimore and beyond have become the sites of ongoing protest against police brutality. In the East Bay, several police killings have sparked protests and broadened the chasm between the police and communities in Oakland, Emeryville, and San Leandro. Yuvette Henderson was shot and killed by Emeryville police officers in February after she allegedly shoplifted and fled on foot into Oakland. Just last night Henderson's family protested at a meeting of the city council, asking for more information to be released. In the case of Nathaniel Wilks, the Oakland police chose to show some members of the media body camera video of the incident in an effort to show the actions of the officers were justified because Wilks was carrying a firearm. In other incidents, such as the killing of Demouria Hogg, OPD has refused to release information, including camera footage, or even the name of the officer who fired the fatal shots. In the case of Richard Linyard, a Black man who fled on foot from several OPD officers after a traffic stop and was later found deceased, wedged between two buildings, the department showed clips of body camera video to some members of the media. Despite this, the man's family and friends remain suspicious of the police and have accused them of beating Linyard and covering up what happened. San Leandro police shot Guadalupe Ochoa-Manzo in Oakland on December 7 last year. She died December 9, and Oakland police are still investigating the incident. Her family has protested several times at the Oakland City Council, asking the city to release information, including a coroner's report. Obama's Task Force on 21st Century Policing was convened with the goal of helping to rebuild trust between police and the communities they patrol, and to address the erosion of police legitimacy. The full report can be read here. Task force director Ron Davis is no stranger to Oakland. 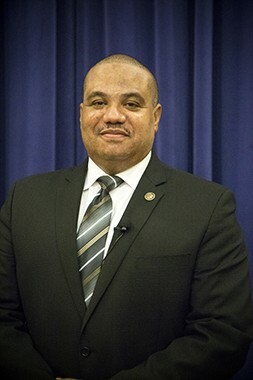 Prior to serving as the East Palo Alto police chief, Davis spent twenty years patrolling Oakland as a police officer.